Visit grunt gallery over the month of June to witness Valerie Salez’ Play, Fall, Rest, Dance, an installation that continously changes based on the creative output by children with disabilities. grunt gallery is proud to partner with KickStart Disability Arts and Culture to bring Salez’ project to Vancouver following a successful residency that occurred at Open Space (Victoria, BC) last year. Artist Valerie Salez creates an environment that encourages artistic freedom, exploration and installation-making over the course of several weeks. 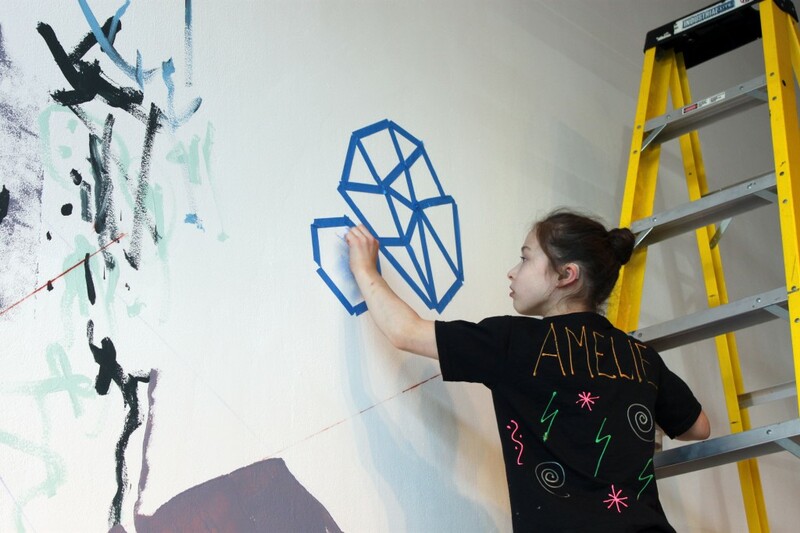 Children participate in art-making sessions that reimagine the space through the use of various materials, some of which are repurposed from Salez’ past projects, and through performance, movement, sound and play. The artist works with children with disabilities to emphasize the state of making and being, the pursuit of uninhibitied creative exploration that is void of rules, structures and concepts of ‘right or wrong’ and ‘perfection vs. mistakes’. Children are enabled with artistic autonomy and the artist thoughtfully guides them to explore their creative processes. Visitors are invited to stop by the gallery throughout the month of June to see how the installation is reimagined, rebuilt and reconsidered during the month. The gallery is open to the public throughout the month of June. Due to the nature of this project, there will be a closing reception on Thursday June 26, 7-10pm. The project will run from June 2-July 5. Since 2003, Valerie Salez has been engaged in a multi-disciplinary art practice that includes performance, video, photography, sculptural installation, and collage. Her work has been both collaborative and solo. Often relying on provisional materials, it can be framed as arte povera and/or situationist in nature. For four years, Salez engaged in snow-shoveling performances/interventions at residencies across Canada. Video and photo documentation of these performances have been exhibited at university art galleries and artist-run centers in Canada, including the 2010 Vancouver Cultural Olympiad. Other collaborations include large outdoor sculptural installations with elements of performance. As well, Salez has produced a number of solo installations using collected objects and textiles that have been installed in various galleries across Canada. Interspersed throughout the aforementioned practices she produced large-scale collage works that have been purchased by private collectors and art banks. Valerie Salez grew up in the Yukon and currently dwells in Victoria, B.C. grunt gallery gratefully acknowledges Arts-Based Community Development funding from the British Columbia Arts Council for making this project possible. (Vancouver, BC) – grunt gallery and Gallery Gachet are proud to co-present 10 years of State of Emergency (État d’Urgence), a multidisciplinary visual exhibition based on a retrospective of works from 1998-2013 during État d’Urgence (State of Emergency) and Fin Novembre (End of November). The annual event État d’Urgence (State of Emergency) began in 1998 in downtown Montreal and was created by ATSA, a not-for-profit organization founded by artists Pierre Allard and Annie Roy. It was originally conceived to celebrate the 50th anniversary of the Universal Declaration of Human Rights. The event itself is a 24-hour, 5-day refugee camp in support of people living homeless and under conditions of poverty. The event was created as a public intervention in the city and includes the provision of food, clothing and shelter as well as the production of hundreds of art works from multidisciplinary backgrounds. État d’Urgence was so successful that it has returned on an annual basis and now, 16 years later, goes by the name Fin Novembre. The exhibition has been presented in numerous venues in Montreal, as well as cities across the province of Quebec. It is now touring Canada with exhibition dates planned in Fredricton, Calgary and Winnipeg, arriving in Vancouver to be co-exhibited at both grunt gallery and Gallery Gachet. At grunt gallery, ATSA presents a selection of 30 ATSA art works and archives produced throughout the years of the event from 1997 to 2013, including the montage U pour Urgence presented at the Canadian Architecture Centre, Deposit, Last resort, Under surveillance, The Brasero and a collection of video capsules by Santiago Bertolino, Steve Patry, Henrique Vera Villanueva and Luc Sénécal. This selection shows the evolution of the event and all the political and social difficulties and challenges the artists experienced. 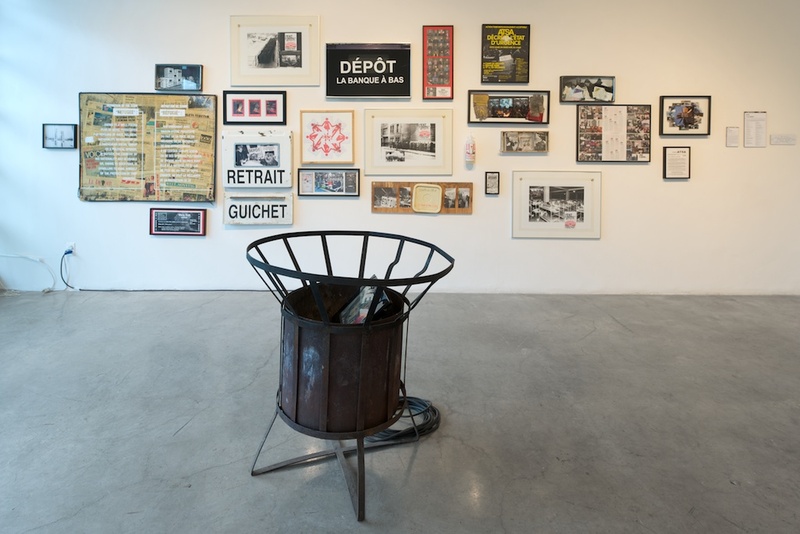 At Gallery Gachet, the 10 years of State of Emergency exhibition features artwork by over 20 artists—local, national and international—who made original contributions to État d’Urgence during the event’s run between 1998 and 2010. Included in these works are collaborative illustrations, sound track and photo projects; paintings on unconventional media; drawings, a survival handbook; miniature cardboard architecture and more. Join us on Friday April 11 at Gallery Gachet (5:30-7:30) and at grunt gallery (7:30-9:30) for the opening receptions of 10 years of State of Emergency (État d’Urgence). Join us on Saturday April 12th (2-3pm) for the artist talk. These exhibitions run until Saturday May 17th, 2014. ATSA wishes to thank the Conseil des Arts de Montréal en tournée for producing and staging the first exhibition and tour in Montreal, as well as the Conseil des art et des lettres du Québec and the Canada Council for the Arts for the Canada-wide tour. Vancouver Coastal Health, Canada Council for the Arts, British Columbia Arts Council, and the City of Vancouver. ATSA is a not-for-profit organization founded in 1998 by artists Pierre Allard and Annie Roy. The pair creates transdisciplinary works and events for the public realm that take the form of interventions, installations, performance art and realistic stagings. Their actions are born of a desire to raise public awareness of various social, environmental and heritage issues that are crucial and that need to be addressed. They aim to sway both the public and the media—in short, to motivate as many citizens as possible to take an active role in improving society. ATSA is recipient of the 2013 Honourable mention for the Mayor’s Democracy Price, the 2011 Giverny Capital price, the 2010 Pratt & Whitney Canada Nature de l’Art Prize awarded by the Conseil des arts de Montréal, the Citoyen de la Culture 2008 award handed out by Les Arts et la Ville and of the Artistes pour la Paix 2008 award. ATSA is also proud to have been the spokesperson of Artists in the Art of the City Mouvement (2013), 5ème Sommet citoyen de Montréal (2009), 22ème Exposition inter-collégiale d’arts plastiques du Réseau Inter-collégial des Activités Socioculturelle du Québec (RIASQ 2010), and of Journées Québécoises de la Solidarité Internationale (2011). ATSA is a member of the board of RAIQ. Artist: Matt Troy, Patrick Daggitt, Dan Leonard, Sammy Chien, Kim Asendorf, Michael Borris, Joseph Yølk Chiocchi, Chris Collins & James Hicks. 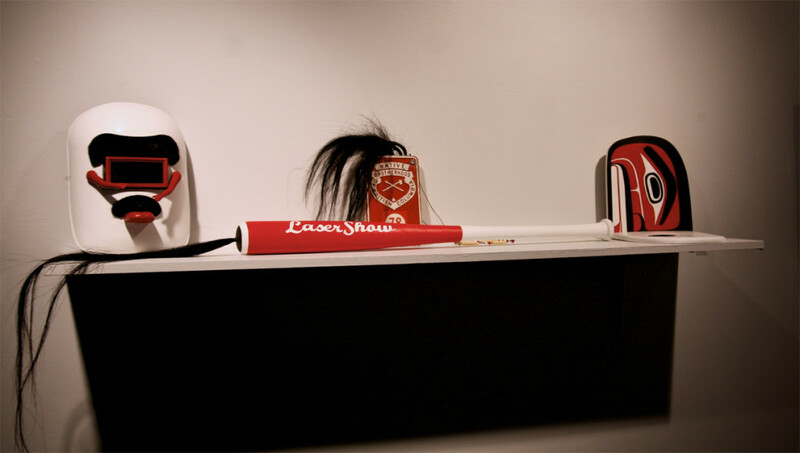 Produce, Consume transforms grunt gallery’s media lab into a multifaceted playground of website artworks and displays. Visit grunt gallery for this special weeklong exhibition that invites the public to access and explore new tools for sharing, seeing, and becoming. Matt Troy, grunt’s Media Lab artist-in-residence, has invited artists and teams around the globe to participate and facilitate interactive art websites. The exhibition includes the premiere of three commissioned artworks by Vancouver-based artists Patrick Daggitt, Dan Leonard, and Sammy Chien. Five international artworks will be screened by Kim Asendorf (Germany), Michael Borris (France), Joseph Yølk Chiocchi (United States of America), Chris Collins (United States of America) and James Hicks (United Kingdom). These nine art sites include a tool to create something: a file, jpeg, mp3, gif, or text. Each file explores a component of human sensory interaction: sound and audio; touch and feeling; seeing and being seen; commerce and language. User engagement with these tools creates a file that is catalogued and immortalized forever online. The role of the traditional ‘artist’ is subverted as the artists act as faciltators, programmers or playground supervisors within this online landscape. The audience is encouraged to explore these digitally created tools, producing new works by interaction and participation. 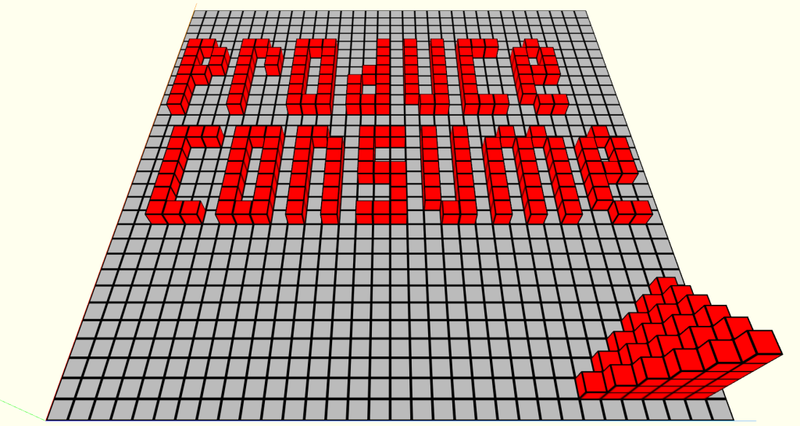 Join us at grunt gallery on Friday March 28 (7-10pm) for the opening reception of Produce, Consume. This exhibition runs until Saturday April 5th. grunt gallery gratefully acknowledges the Canada Council’s Project Grants to Media Arts Organizations, Groups and Collectives for making this exhibition possible. grunt gallery would also like to thank their operating funders: Audain Foundation, City of Vancouver, and the British Columbia Arts Council. Join grunt gallery on February 20th for the opening reception of one man’s junk by Toronto-based artist, Laura Moore. New technology drives the manufacturing of new electronic products. But during this pursuit of the new and improved, what happens with the obsolete? Laura Moore hand-carves blocks of limestone into outdated electronic devices. Contradicting the indispensability that most discarded electronics face, these tributes monument how once-valuable objects become undesired commodities. Moore began one man’s junk during an artist in residence program at the Thames Art Gallery. The artist states an ongoing interest in creating tensions between the permanent versus disposable and the interactive versus the inert. 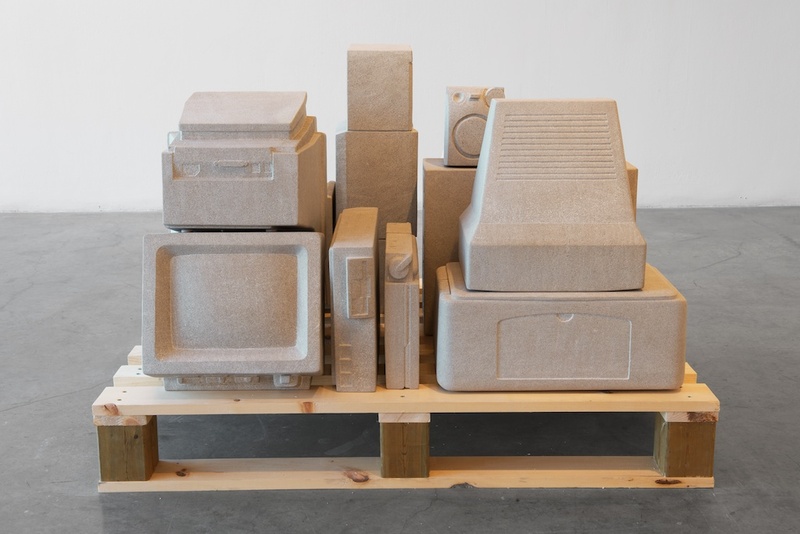 The limestone sculptures includes a computer monitor, printer and hard-drive tower measured to a 1:1 scale; stacked onto a wooden pallet. one man’s junk questions what happens when an object shifts from a prized possession to a nonentity, and asks you to find value amongst junk, waste and the discarded. grunt gallery is pleased to announce that this will be Moore’s first exhibition in Vancouver, British Columbia. The artist will be in attendance for the opening reception. Currently, Laura’s 2010 series Kernel Memory is installed at the St. Catharines City Hall Sculpture Garden; this work is on exhibit until September 2016. In June 2014, components of Laura’s new series one man’s junk will be installed as part of the Contemporary Art Forum, Kitchener and Area Biennial (CAFKA) and in the group exhibition Material World at the Indianapolis Art Center in Indiana, USA. In the past, Laura has exhibited her work at; Station Gallery (Whitby ON), Ontario Science Centre, Oeno Sculpture Garden (Bloomfield ON), Thames Art Gallery (Chatham ON), Siena Art Institute (Siena Italy), Shoshana Wayne Gallery (Santa Monica CA USA), Leaside Sculpture Trail (Uxbridge ON), Peak Gallery (Toronto ON), Stride Gallery (Calgary AB), Cambridge Galleries, Glenhyrst Gallery of Brant (Brantford ON) and Anna Leonowens Gallery (Halifax NS). 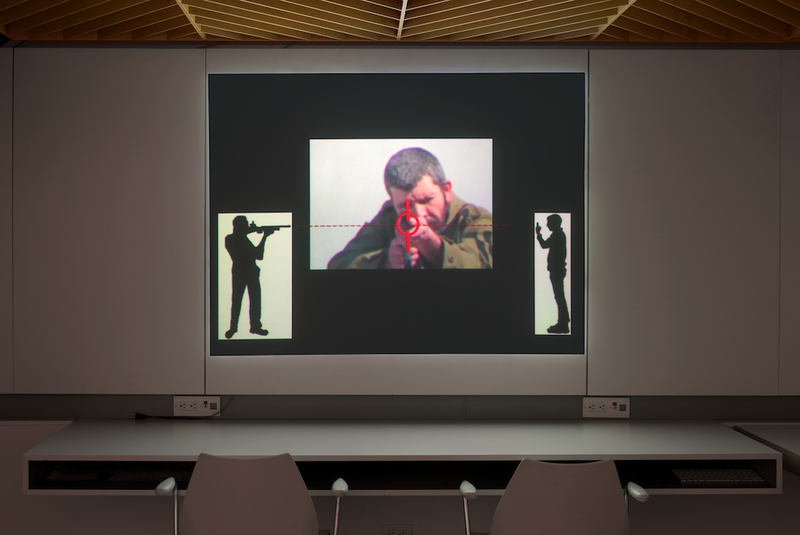 Beirut artist, Rabih Mroué, returns to Vancouver with a video installation exhibition entitled, Nothing To Lose. This exhibition questions what we know and what we have read, the tumultuous relationship between fact, fiction and construed narratives. Mroué’s practice explores the media’s ability to reinterpret and misinterpret, and the subjective impact this has on the public. His performances are both conceptually and politically bold, using the backdrop of Lebanon to construct works that speak to everyone. When inquired about past projects Mroué states, “My works deal with issues that have been swept under the table in the current political climate of Lebanon.” His practice emerges from a generation of artists in Beirut that came of age during the civil war (1977-1990); works often address the aftermath, using photography and video to deconstruct and reconstruct its devastating consequences. Presented with grunt gallery and PuSh International Performing Arts Festival. Join us for the opening reception of Nothing to Lose on Friday, January 10th (7pm–10pm). The exhibition is at grunt gallery from Jan 10 – Feb 8, 2014.
grunt gallery is also pleased to announce that there will be a workshop by Rabih Mroué on Art & Politics on Saturday, January 11th from 12noon-4pm at grunt gallery. This workshop is intended for performance artists, theatre actors and those involved with the performing arts. Admission to this workshop is $20 (student rate TBA), please email glenn(at)grunt.ca to sign up. This workshop has limited space available so be sure to sign up soon! Rabih Mroué is no stranger to the city of Vancouver. Mroué provided an artist talk at PuSh Festival in 2012 and returns as a 2014 PuSh artist-in-residence. PuSh Festival is hosting a breakfast series event with Mroué on January 17 (http://pushfestival.ca/2014/shows/rabih-mroue/) and will be presenting “The Pixelated Revolution” at SFU Goldcorp Centre for the Arts from January 15 –18 (http://pushfestival.ca/2014/shows/pixelated-revolution). Be sure to buy tickets to these events before they sell out! Rabih Mroué was born in Beirut and lives between Beirut and Berlin. He is an actor, director, playwright, visual artist, and contributing editor in the Lebanese quarterly Kalamon and TDR (New York). He is also a co-founder and board member of the Beirut Art Center (BAC). He is a fellow at The International Research Center: “Interweaving Performance Cultures”/Freie Universität- Berlin, 2013/2014. In addition to his main work in theatre, Mroué’s recent exhibitions include: CA2M, Madrid 2013, Museé de la Dance (2013), dOCUMENTA 13, Kassel (2012), Templhof, Berlin – Hebbel theater, the world UnFair exhibition (2012), Lunds konsthall, Lund (12 March – 8 May 2011); Iniva (Institute of International Visual Arts), London (23 March – 14 May 2011) and Württembergischer Kunstverein, Stuttgart (22 May – 31 July 2011); and Tranzitdisplay, Prague (10 June – 14 August 2011), BAK, basis voor actuele kunst, Utrecht (21 May – 1 August 2010), Performa 09, New York (2009); 11th International Istanbul Biennale (2009); Tarjama/Translation, Queens Museum of Art, New York (2009); Soft Manipulation – Who is afraid of the new now?, Casino Luxembourg, Luxembourg (2009); Sharjah Biennale (2009); Medium Religion, ZKM | Zentrum für Kunst und Medientechnologie Karlsruhe (2008); and Les Inquiets. 5 artistes sous la pression de la guerre, Centre national d’art et de culture Georges Pompidou, Paris (2008). In 2010, he was awarded an Artist Grant for Theater/Performance Arts from the Foundation of Contemporary Arts 2010, New York and the Spalding Gray Award 2011 and Prince Clause Award, 2011.
grunt gallery is pleased to announce a new installation of photographs by artist, Jayce Salloum, entitled location/dis-location(s): contingent promises. location/dis-location(s): contingent promises continues Salloum’s visualization of the nature of the ‘natural’ and constructed environments. 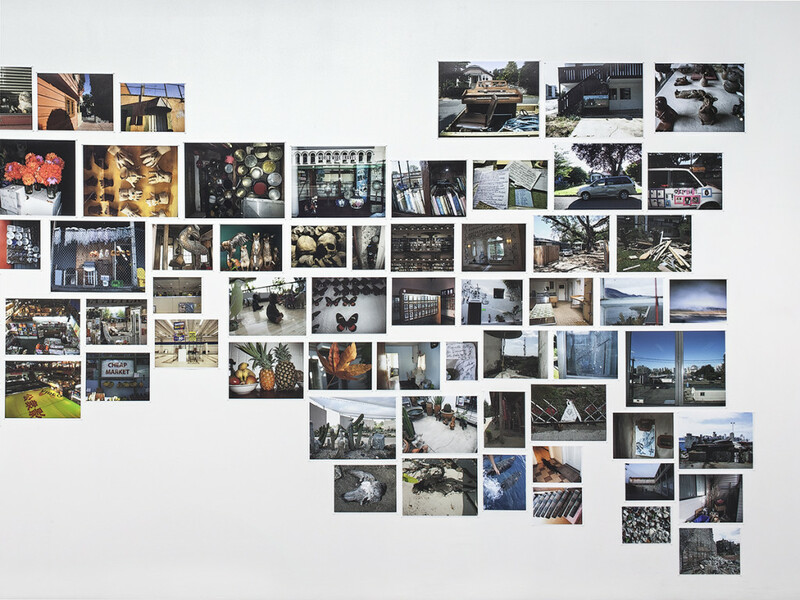 An extensive assembly of photographs, taken at various places the artist has visited over recent years, is composed through various signifiers and aesthetics. The images depict locations considered public and private, claimed and unsigned spaces, forms of the common, socio/ideological stage fronts, and domestic settings. The viewer’s subjectivity aids how one might identify themes and locate the familiar, creating relationships between images and groupings. However, locations of photos vary without division. 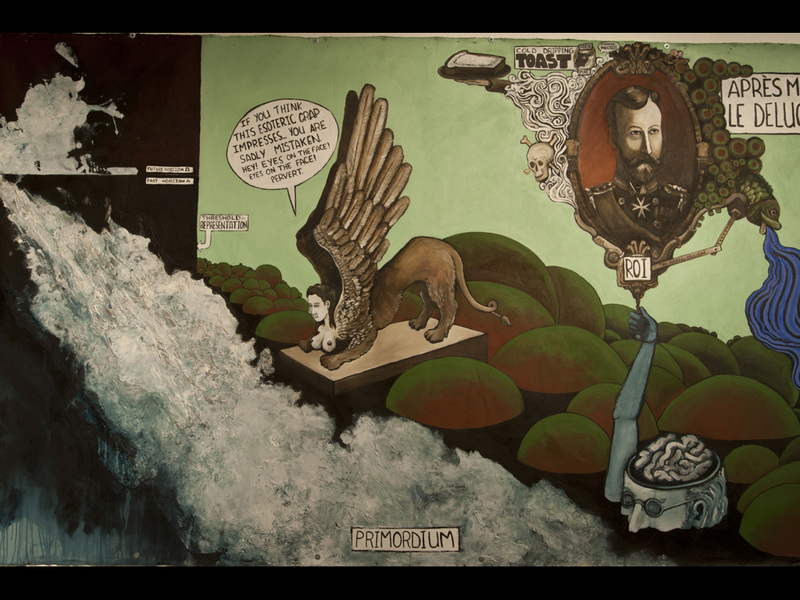 Deeper inspection might reveal dissidence; recognition and dislocation wavers throughout this panoramic installation. How a space might be defined by its subjectivity, varying an in-between state of existence, is interwoven throughout this exhibition. Nature is looked at as distinct and metaphorical of human culture, not in order to assign human form or human attributes to nature, but rather to show how nature informs the human(e). This exhibition considers the complexity of how the reading of spaces might overlap, separate, and collapse into one another, inferring an oblique mapping of histories. These photographs are from Salloum’s ongoing body of work, untitled: photographs, that attempts to critically engage in the representation of public and private space. location/dis-location(s) approaches coming to terms with what it means to be making photographs here (and elsewhere) and the exploration of the possibilities of visualizing the nature of natural, urban, semi-urban, and sub-urban environments (and the totality of the constructs signified in those terms). A corresponding exhibition of earlier works in this continuum, location/dis-location(s): reprise, preceded this installation at CSA Space in Sept & October of this year. Join us at grunt gallery on October 25th for the opening reception of the exhibition. A published essay written by Keith Wallace on Jayce Salloum’s practice will be available at the gallery. The exhibition continues to November 30th. This exhibition is a part of Capture Photography Festival. grunt gallery is excited to announce the exhibition for MAMOOK IPSOOT (Chinook Translation: To Hide or Make Hidden). This past summer, grunt gallery invited Dutch artist, Desiree Palmen, to visit Vancouver and work with 7 local Aboriginal youth on a collaborative project called Mamook Ipsoot. This project is the Vancouver incarnation of Palmen’s art practice in which she helps youth camouflage themselves into a chosen setting within their urban landscape and photo-document the results. 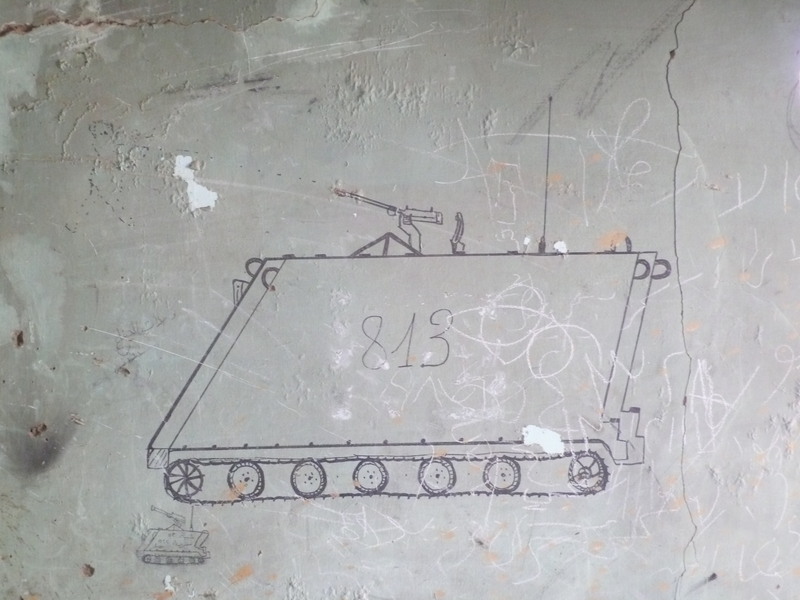 The project took place at grunt gallery this past July; the outcome was 7 unique camouflage images that were created by the youth with the help of the artist. This project evolved out of Palmen’s performance arts practice of interventions in everyday scenarios. In 1999 Palmen used camouflage suits to intervene and respond to public surveillance cameras that monitored citizens without permission. She later expanded this idea into youth-driven projects in which she helps youth to explore how they connect with their surroundings and affirm their presence in familiar and favorite locations in their home city. These camouflage images have been produced as bus shelter posters and can be seen in various off-site locations around Vancouver, BC, from October to November. Visit grunt gallery from October 16th–19th to see the exhibition of the large-scale posters hanging in our gallery. The opening reception will be held on Friday, October 18th, from 6pm–9pm. Artist Desiree Palmen, Project Coordinator Jolene Andrews, and project youth participants will be in attendance at this event. Purchase a set of the Mamook Ipsoot Art Cards here! Limited edition. 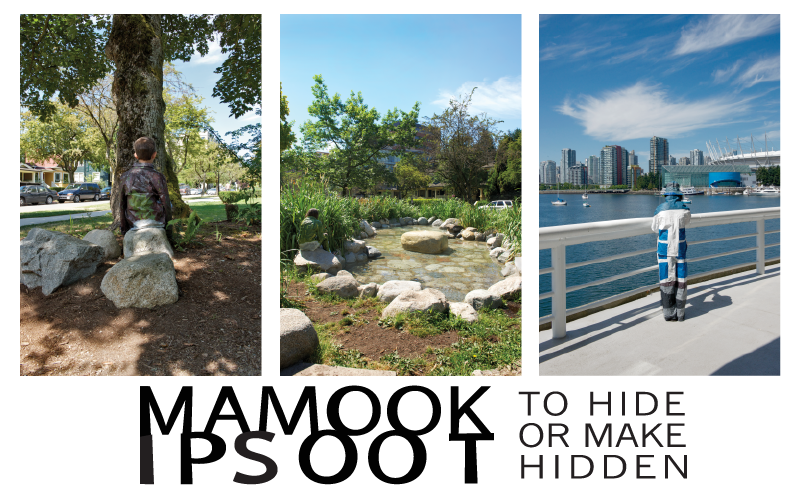 Vancouver Sun – Mamook Ipsoot: What’s hiding in the landscape? Read an article on the project from “The Source”. grunt gallery presents Don’t Go Hungry, a multimedia exhibition with work by artists Bracken Hanuse Corlett and Csetkwe Fortier. The artists turn our attention toward the stcuwin (salmon) as a traditional food source via process and connection. The decline of cultural harvest due to disease, climate change and overfishing has left both animal and human in a struggle to survive; the exhibition investigates this topic with new works in painting, drawing, sculpture and digital media. The artists acknowledge an active and ongoing mentorship with artist, Lawrence Paul Yuxweluptun, throughout the creation of this exhibition. Bracken describes the relationship as multifaceted. “He has given us invaluable tips and tricks that have helped our technical process in painting and we have had good talks about concept, form, Indian politics and life, art world dealings, and the history of Indigenous art on the coast and in the Interior [of British Columbia]. Yuxweluptun is in many ways a trickster, comedian, historian and just a fun dude to sit and talk with. He has a very big presence and yet is still a very humble man.” Yuxweluptun is curating the work featured in the exhibition. 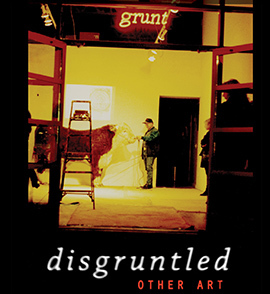 Join grunt gallery for the opening reception on Thursday September 5th from 7pm–10pm. The exhibition will run from September 5th – October 12th, 2013. Bracken Hanuse Corlett, Csetkwe Fortier and artist mentor, Lawrence Paul Yuxweluptun, will be in attendance. Note: Dynamo Lines also coincides with SWARM 2013, read here for more info on this annual artist-run centre festival. Working with musician Sergej Tolksdorf, Böttger’s video installation includes footage of actors emerging as a work team, observing busy highway arteries. But their movements are edited so they appear sporadic, contrapunctual to the rythm and flow of light from the streets. These scenes transition into drawn sequences removing the detail of urban density and simplifying the images into minimalist, white outlines. 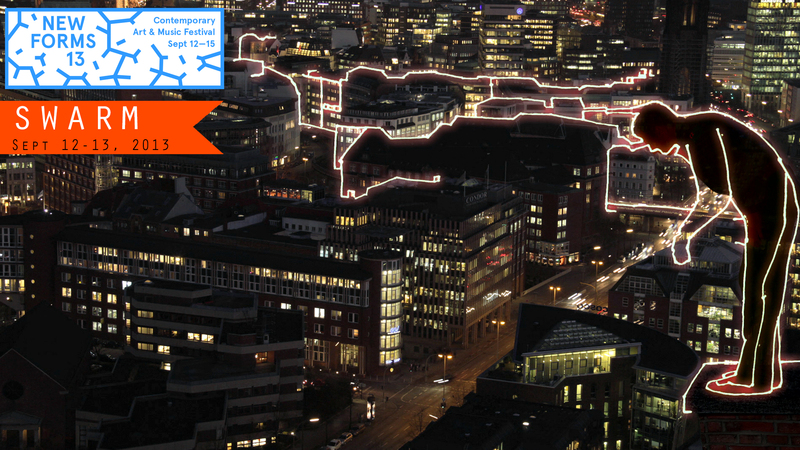 The projection appears outdoors on various public spaces and building walls like temporary graffiti. This project will take place at New Forms Festival, at the Centre for Digital Media, on Sept 14, 2013. Read a short interview with Josephin Bottger on CiTR’s website. The Big Foldy Painting of Death is an expansive artwork created on a large scroll of canvas that will span the circumference of the gallery space. A project initiated in 2011, Ian Forbes’ painting is a narrative of apocalyptic doom and ecstatic rebirth. Characters appear throughout the painting occasionally musing, via comic speech bubbles and scrawled text, on the process and practice of contemporary visual art or purposely shifting ideas and concepts into absurdity. This pragmatic approach wrestles with critical art practices through the inclusion of high and low art forms: a variety of techniques are employed to depict futuristic structures and psychedelic creatures emerging from planes of colours, abstraction and texture. – Ian Forbes, Artist Statement. The exhibition will run from June 21 – July 27, 2013. The artist will be in attendance at the opening reception on June 21 and an essay on this exhibition will be available.